The big bright smiley faces of the Sunflower will bring a burst of colour to your garden! These are easy flowers to grow all year round. The key requirements are lots of sunshine and minimal water! 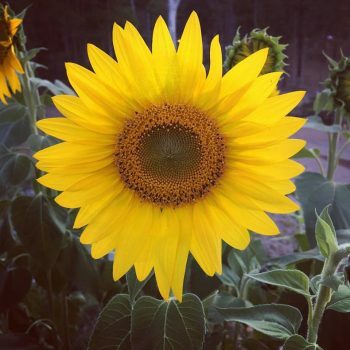 Not only are they wonderful to look at with thier large tall stalks and bristly leaves, they are great for attracting bees and birds to your garden, who love the brown centers that ripen into heavy heads filled with seeds. Common varieties are heat and drought-tolerant and are able to be grown in all different climates. Plant these flowers where they’ll recieve plenty of sunshine and in soil that is well-drained and rich in organic matter. There are a variety of sizes that can be grown in gardens and pots if you’re short on space. 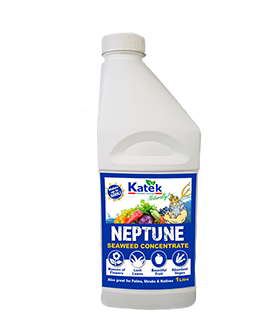 Keep up a regular dose every 2-3 weeks with Katek Neptune Seaweed Extract Liquid Fertilizer and your sunflowers will be flowering in abundance, with brighter colours and healthier stalks! 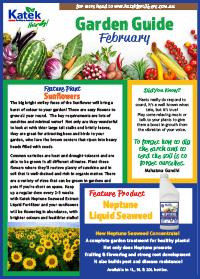 Neptune Liquid Fertilizer ~ Seaweed Concentrate! The complete garden treatment for healthy, happy plants and super grass! This organic fertilizer is ideal for use on all plants, flowers, lawns, fruit trees, vegetables, palms, shrubs and natives. “We have been trying to bring our back lawn back to life, for around 3 months without success. We looked into other fertilizers and decided that Katek was worth a try. Bam! 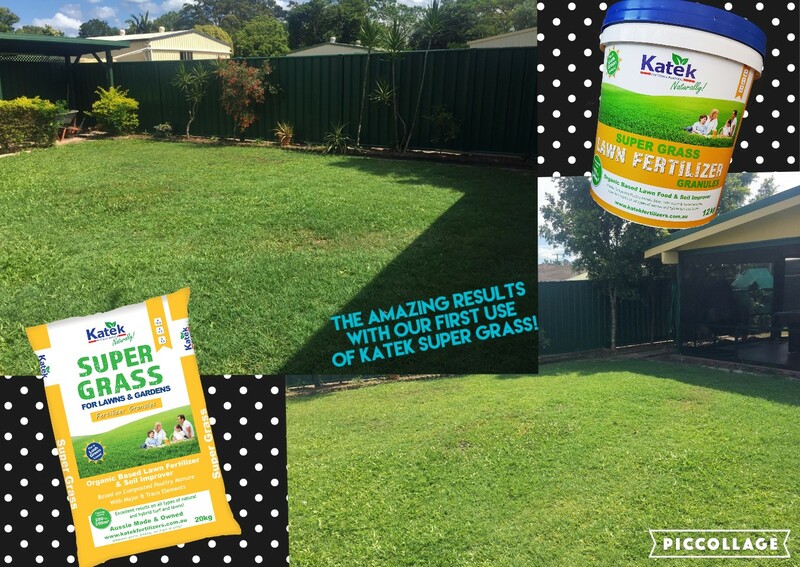 After just one use of Katek Super Grass the results were astonishing! Now is a great time to plant an avocado tree! Keep an eye out for Hass and other varieties in your local nursery. Plant herbs and seedlings under movable shadecloth to protect them from the harsh summers sun. It may pay to hold off on any pruning. At this time of year it may cause sunburn on new shoots and kill off plants. Its a great time to get flowering shrubs, trees and natives established before the cool autumn change comes along!